Foreign journalists know they'd be lost, or even dead, without the locals they hire, but do they give them credit back home? I first met Mohannad Sabry in 2005, when I arrived in Egypt for an unpaid internship with The Associated Press. We became fast friends through my roommates, and he joined me in Alexandria on a reporting trip to cover parliamentary elections. I knew little about Egypt and its players at the time, and since I couldn’t put together a sentence in Arabic, he went with me even though I couldn’t afford to pay him. Only because of his skills and knowledge was I able to report from inside a polling station and at the office of the Muslim Brotherhood. It was the first of many times I received invaluable help and insight from fixers, the resourceful, well-informed locals who assist foreign correspondents. Most in this region are fluent in Arabic and many are aspiring journalists. If a media outlet has a bureau, it often has on staff a salaried local journalist called a news assistant. In places where there is no bureau, it may have a stringer who receives a monthly retainer to be on call and feed news regularly. Fixers, by contrast, tend to be employed ad hoc. In Egypt they command roughly $50 to $250 per day, depending on whether big news is raising demand. A fixer’s day may include monitoring local outlets and Twitter and writing up a news brief, arranging logistics, securing and translating interviews but also conducting them, and providing background. In the Middle East, fixers are essentially journalists but, all too often, they receive little or no recognition, even when they are entirely responsible for the scoops credited to their foreign peers. These people are not mere translators who provide a service in exchange for payment. Our work—and, on occasion, our safety—depends on them. I moved to Beirut in late 2010 to gain experience outside Egypt, but four months later the Egyptian revolution started. I landed in Cairo on January 28, 2011—the “Friday of Rage.” Internet service and telephone lines were cut across the country. When service was partially restored the next day, I called Mohannad to meet for coffee. The second night of curfew was approaching. We left for a friend’s apartment to spend the night. We stopped for food along the way, but forgot tea to keep us awake, and garlic and onions for the dish we were preparing—molokheya, an Egyptian specialty. So Mohannad and I headed back to the street near the start of curfew. Vegetable sellers were rushing to restock their shops and close for the night. As we left a shop, goods in hand, a young policeman stood in our path. He cocked his shotgun and shouted at us. “Which way?” the policeman asked. “Straight ahead,” Mohannad answered, pointing toward the apartment. We ran. Mohannad told me to go straight. I followed him. Although I had studied Arabic, the fact that I didn’t fully understand the officer’s orders reinforced for me just how essential fluent Arabic is. 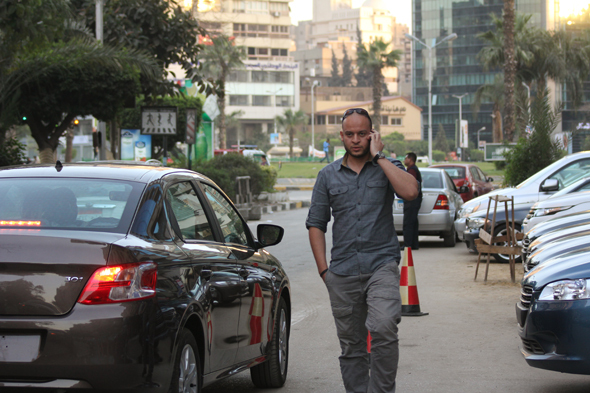 The influx of print and broadcast journalists into Egypt during the revolution provided work for a lot of fixers. McClatchy hired Mohannad as a news assistant. Soon he was getting bylines and managing the Cairo bureau while the correspondent was reporting elsewhere. But when another correspondent came in to run the bureau, it was clear Mohannad couldn’t advance further. While at McClatchy, Mohannad received a reporting fellowship from the news website GlobalPost for a project to pair and train young foreign and local journalists around the world. It began in Egypt, and Mohannad was chosen as the managing editor. When mass protests led to the military’s ouster of President Mohamed Morsi in 2013, longtime foreign correspondent and GlobalPost co-founder Charles Sennott turned to Mohannad to report with him for a GlobalPost-PBS Frontline segment. Mohannad introduced me to another Egyptian fixer in Cairo, Merna Thomas. As she described her work, I was surprised that she didn’t consider herself a journalist. Like other fixers interviewed for this piece, she suggests how to get stories done, lines up sources and conducts interviews independently. Basically, she does everything short of writings articles. It’s not as if she couldn’t write, though; she was an English major in college. She says she fell into journalism by chance. Yet on her first assignment she landed difficult-to-get sources, like Bassem Youssef-often referred to as the “Egyptian Jon Stewart”-early in his TV career, as well as a member of the “Black Bloc” protesters who disguised themselves in black and were often on the front lines of clashes with police. In two years of working with journalists, Merna has received credit in print just twice. She doesn’t ask for recognition, but some journalists have misled her into thinking their outlets don’t give credit to fixers. Amelia Newcomb, the foreign editor of the Christian Science Monitor, where Merna’s work has appeared, told me it is absolutely not the policy of the paper to exclude credit for fixers. “We leave it up to the reporter,” she said. Of the outlets I contacted—the Monitor, The New York Times, The Washington Post, the Guardian—none have an official policy on naming local journalists who work with correspondents. Some are more fastidious than others. The Guardian said credit is given when “people have contributed to the journalism,” but did not specify what qualifies as contribution. The Times and the Post provide credit to fixers when it’s determined they have made a “significant” contribution to the story. Tasks like logistics and basic translation do not warrant a contributor line. Both the Times correspondent in Beirut, Anne Barnard, and the Post’s foreign editor, Doug Jehl, said the work of fixers is essential, and that they deserve credit for it. Naming contributors is a positive step for transparency. But it leads you to the next question: Why shouldn’t the very best fixers and news assistants be correspondents themselves? Moe lived in the US for six years before returning home to Lebanon. He said that Americans’ lack of knowledge about the Middle East motivated him to become a journalist. Although he still works as a fixer, Moe has become an outspoken critic of foreign journalists. After one too many dealings with correspondents who he says mischaracterized context and people or outright distorted facts, he wrote a searing piece on his blog in 2010. He admits that fixers who are less than scrupulous sometimes mislead journalists, but says ultimately the facts and ethics of journalism are the responsibility of those who put their names on stories. Let me be clear. Many foreign correspondents in the Mideast are performing superbly. (The ones who come most readily to mind, not coincidentally, speak fluent Arabic.) Too often, though, news organizations are sending reporters who lack expertise. As I look at the fixers who call the Mideast home and are among the best journalists here, I couldn’t complain if I were replaced by one of them. 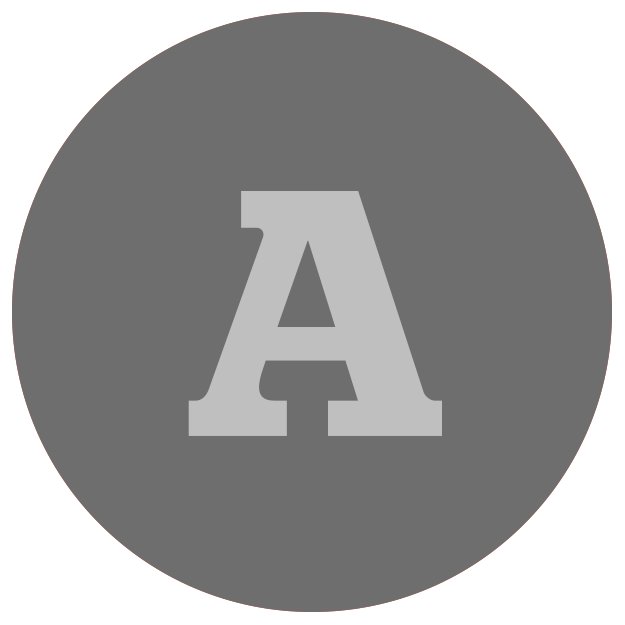 Andrew Bossone is a contributing editor based in Beirut and Cairo for the mobile news organization Circa. His Twitter handle is @abossone.